28" Heavy Duty HD TV Antenna Satellite Dish J Pipe Mount with 2" OD!!!! Universal 28" J Pipe/Tower mount with 2" OD mount for adding large off-air antennas and satellite dish systems. 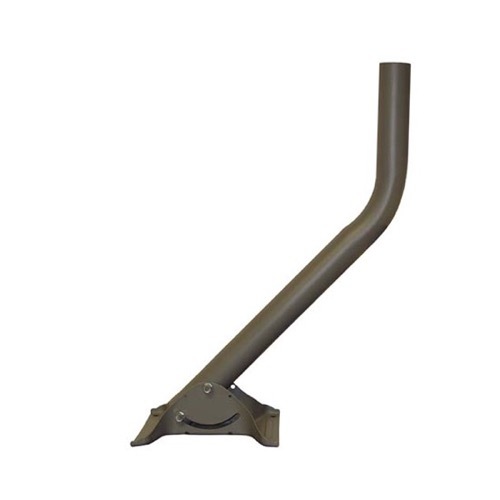 Can be used on side of house or roof with large mount foot for improved stability. Galvanized steel, 28 inches long, 2" OD, E-Coated for maximum protection. If you need the extra length we have got it. Designed for Roof, Wall or Deck Antenna Dish Installations.